As students explore places close to their study abroad destinations or take some time away from their programs on spring break, their first instinct may be to disconnect. However, while it’s great for students to have some space and autonomy, it’s also imperative to stress the importance of staying connected while they’re on any school-sponsored trip. In the event of an emergency, you need to know where your students are and how to reach them—and students should also know how to reach out for help during a crisis situation. 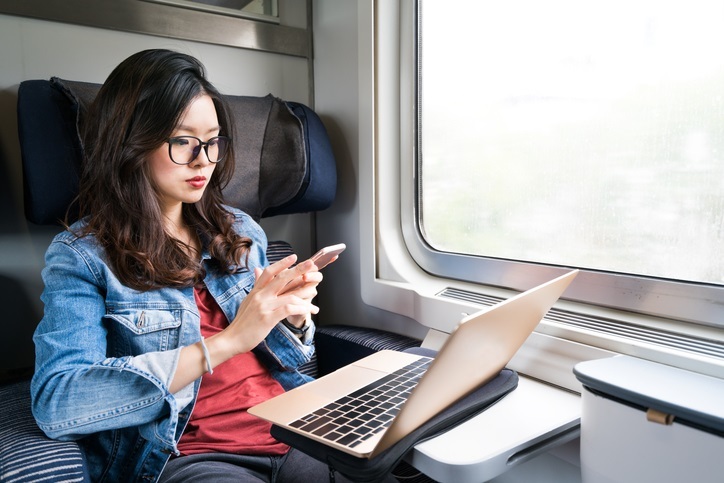 Check out the guide below for some tips on how your students can stay connected and have a great time wherever their travels take them! Confirm Dependable Communication: Students may need to be reminded their cell phones most likely won’t work overseas and they’ll need to plan ahead. For example, if traveling to multiple countries, students may need to purchase a temporary phone or local SIM card for each destination depending on their cell phone carrier/type of phone. If students are traveling to multiple destinations and purchasing individual phones for each location, it’s important to obtain each phone number so they’re reachable during an emergency. Additionally, confirm students know who to contact at your institution in the event of a crisis. Before traveling, students should program the phone numbers for their personal emergency contacts, emergency contacts at your institution, your institution’s travel risk management provider, local emergency services and the number to the closest U.S. Embassy or Consulate. Access a Secure Connection: With so many cafes, restaurants and hotels offering free Wi-Fi, many students may plan to rely on this free access to send updates back home. While this is a convenient and a cheap option, it may not be safe and could put your students’ personal information, finances and security in jeopardy. A general rule of thumb is that students should not access their personal data on a public network and should never rely on public Wi-Fi as their only source of communication – especially in the event of a major crisis or international event. Instead, suggest that students pick up a disposable local phone or a local SIM card with a data plan. Temporary SIM cards are cheap and can be reliably found in major transportation hubs like train stations and airports. Have the Right (Mobile) Apps: While there are a multitude of apps available to help make trips easier for students, there are a few that should be on every traveler’s phone. The Smart Traveler app from the U.S. State Department is one of these. The app provides access to country information, such as U.S. Embassy locations and maps, as well as the latest travel alerts and warnings from the State Department. Students should also download their travel risk management provider’s app while traveling abroad, which usually contains destination alerts and easy access to assistance in the event of an emergency (your institution’s travel tracking system should be flexible enough to capture side trips and user-friendly enough to encourage usage and compliance). If students plan to make calls and send texts back home using Wi-Fi, they could consider apps like Facebook Messenger, Skype, WhatsApp, Viber and WeChat. Stay Smart About Information Sharing: In the digital age, sharing your location is as simple as pressing a button. Many students instinctively share photos and videos of their adventures on all of their social media accounts without giving it a second thought, but this can be risky. Remind your students that many mobile apps could be sharing their locations without their knowledge. By broadcasting photos and locations on social media, they’re not only alerting people to their whereabouts, but they’re also letting the masses know their residences could be empty. Utilize Social Media in a Crisis: On the flip side, social media can be an extremely valuable tool in the event of a crisis. If you’re unable to do a proper welfare and whereabouts check because your students don’t have a reliable source of communication, consider thinking outside of the box. For example, the Safety Check feature, implemented by Facebook following the terrorist attacks in Paris and Brussels, uses geolocation to find users close to a crisis and shows their friends that they’re safe. Google followed suit and now offers the ability to immediately share your location via GPS and Wi-Fi with emergency personnel in the event of an incident. While it may be unconventional, students are more likely to reach out for help if they know their institution utilizes various communication options during a crisis. Need help preparing your students before they travel? We can help. Contact us today.